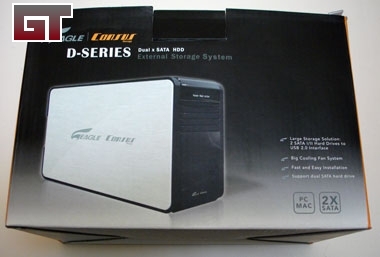 On the review block for today is the Consus D-Series dual SATA hard drive external storage system from Eagle Tech. 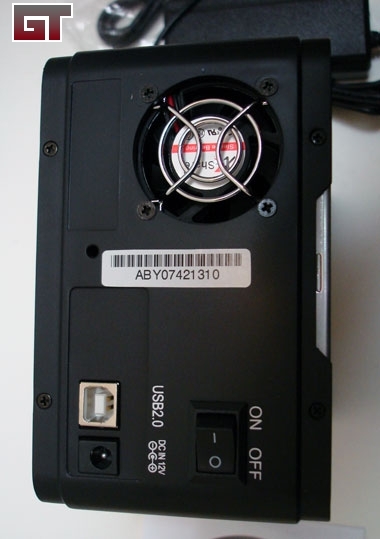 The D-Series has the ablity to use JBOD (Just a Bunch Of Disks) spanning to combine your odd sized disk drives into one larger drive, or you can run it plain old RAID 0. 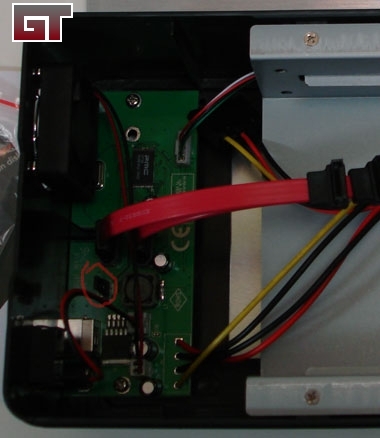 "Avoiding Drive Waste: If you have a number of odd-sized drives, JBOD will let you combine them into a single unit. A 750GB drive and 120GB would combine to make a 870GB JBOD volume." 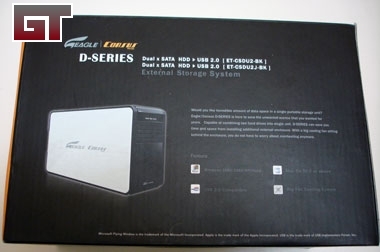 The Consus D-Series ET-CSDU2J-BK box has a picture of the unit on the front and on the back. It also gives four quick points about the device. One thing that stood out immediately is that it works under both Windows and Mac OS. The other side of the box gives you an overview of the four points. 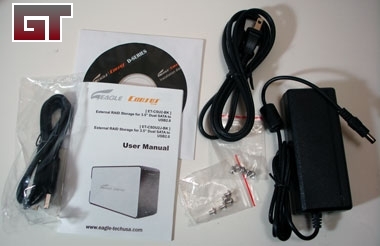 The package comes with the USB cable, manual, driver disk, two bags of screws for mounting the hard drive (5 screws per bag), US power cable, and power brick. 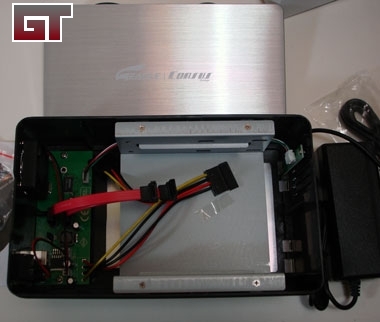 The back side of the device is where the 6cm fan, power switch, power cable plug port, and USB port are located. 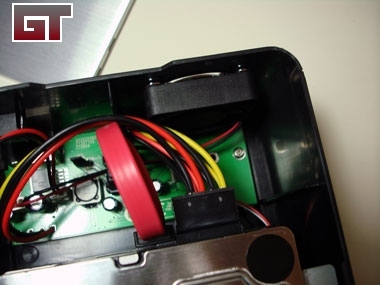 Two screws are needed to be removed on the right side to gain access to install your drives. 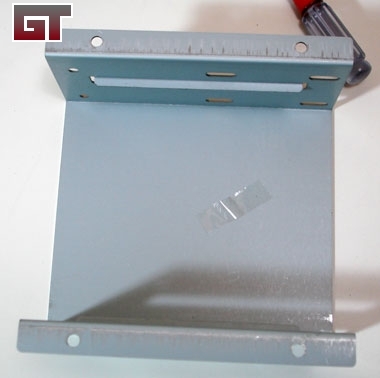 With the side panel off, you can see that you will need to remove the hard drive cage before you can add the a disk in the lower position. There are three options on using your drives. 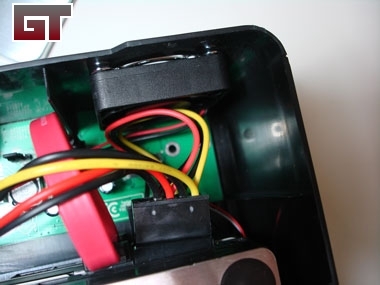 You can either set it to JBOD (spanning) or RAID 0 (striping) or Single drive. By default, the unit comes set on Raid 0 out of the box. Removing the cage makes it much easier to mount your drives and connect all necessary power and data cables. When pushing the cage in to line it up with the screw holes, I did notice that the power wires were pushing up against the fan. 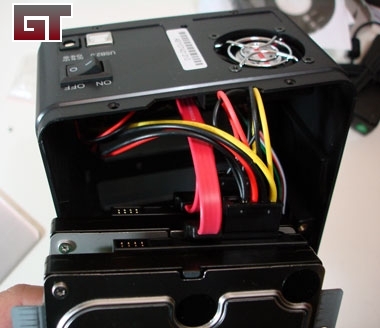 This could cause the fan to stop spinning and cause heat issues with your drives. Just make sure to position the cable to the side of the fan. 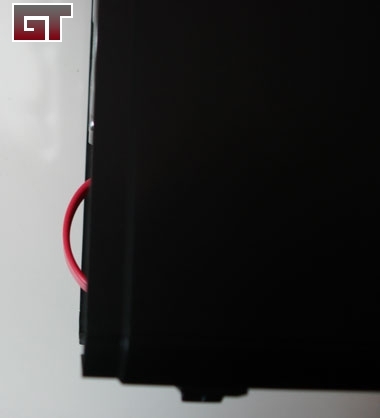 Before putting the side panel back on we can see that we have a bit of the SATA cable sticking out. This doesn't pose much of a problem since putting the side back on will push this cable down.